Set in Burma during the British invasion of 1885, this masterly novel tells the story of Rajkumar, a poor boy lifted on the tides of political and social chaos, who goes on to create an empire in the Burmese teak forest. 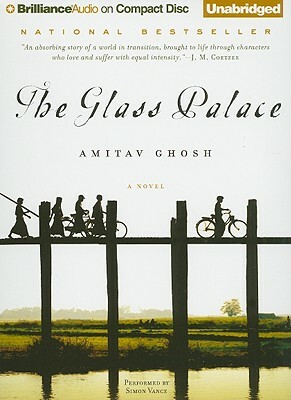 When soldiers force the royal family out of the Glass Palace and into exile, Rajkumar befriends Dolly, a young woman in the court of the Burmese Queen, whose love will shape his life. He cannot forget her, and years later, as a rich man, he goes in search of her. The struggles that have made Burma, India, and Malaya the places they are today are illuminated in this wonderful novel by the writer Chitra Divakaruni calls "a master storyteller."